Minnesota Public Radio News contacted 60 local accountants, and heard back from a dozen of them. They all said Franken is ultimately responsible for making sure he pays taxes in the right states. They pointed out multi-state tax filings can be intensely complicated, and accountants do mess up from time to time. But most of them also echoed Woodbury tax accountant Michael Shaffer. "It really seemed like it was a rookie mistake," Shaffer said. The mistake was that instead of paying taxes in the many states where he earned money from 2003 through 2006, Franken paid state income taxes only in the states where he lived -- New York and Minnesota. That meant he overpaid taxes in those two states, but shorted the other 17 states by more than $50,000. Franken says he will pay those states now, plus interest and penalties, for a total of about $70,000. Then he'll file for a refund in Minnesota and New York. The divvying up of tax payments based on where you've worked is called apportionment, and while accountant Michael Shaffer says it can be complex to calculate, it's not exactly an obscure accounting principle. "I learned it in my first tax class in college," he says. Mark Sellner, who directs the graduate studies program in taxation at the University of Minnesota, has some first-hand experience with apportionment, because he conducted seminars last year for an East Coast accounting firm. "I looked at the New Jersey rules and said, Yes, I've done some teaching there," Sellner said. "I did it for more than a couple days. I should file a New Jersey return." Sellner says apportionment comes up all the time. If a Minnesota salesman closes a big deal in Wisconsin, he might have to file tax forms in both places. States even try to capture revenue from trucking companies whose 18-wheelers pass along their highways. "It would be an issue of, if you shipped something from here to Dallas, what's really earned in each state that you pass through?" Sellner said. Sellner says routine business trips are usually exempt, and you also have to make a certain amount of money in a state before you trigger taxes there. For instance, you have to file forms in Minnesota only if you make more than $8,750 here. Franken used to make his living as a comedian and a political commentator, and he collected speaker's fees for performances all over the country. But in an interview with Minnesota Public Radio this week, he said his New York accountant, Allen Chanzis, told him he needed to file taxes only in states where he lived. 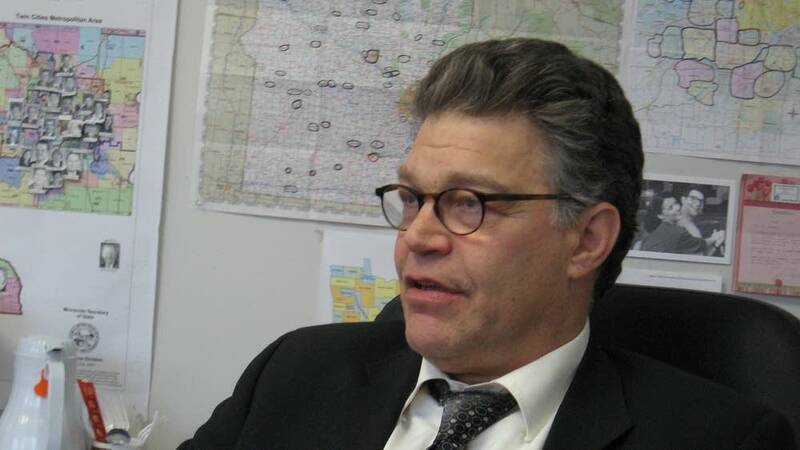 "This all really comes from one mistake, which is him not understanding that I was supposed to pay state taxes in these other states," Franken said. Mark Sellner says it's pretty common for people to make mistakes with apportionment. But accounting firms like Chanzis's that specialize in the entertainment industry deal with those issues all the time. The firm's Web site says it handles multi-state tax filings, and it says Allen Chanzis "has a unique expertise in all aspects of tour accounting and reporting." And tour accounting means keeping track of the money a touring entertainer makes in various states. "If I was going to tell clients I was specializing in tour accounting, I would make sure I was following those issues a little closer," said U of M tax professor Mark Sellner. Sellner says there is some good that will come out of Franken's tax troubles. He plans to use situation as an example when he teaches his accounting students about apportionment.